Make sure you have completed the 2018-19 FAFSA. Make sure you signed the Excelsior Scholarship contract. This contract is emailed to you by HESC. Contact HESC with questions. Please note, it takes up to seven days from signing the contract until the award shows on your account. Make sure you have completed the NYS Student Aid Payment Application. Excelsior guidelines are complex and require you meet academic and other criteria. Please review the Excelsior Scholarship eligibility requirements. Go to HESC to check the status of your application or for additional information. Verify that you have completed the TAP application. Make sure the University at Albany's school code 0895 is on the application. Make sure you have signed up for at least 12 degree applicable credits. We receive TAP updates weekly. If your application was recently approved, check your student account on Friday. Visit our website for important dates and to review other eligibility requirements. 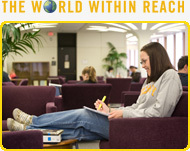 Log in to MyUAlbany and check your checklist items. Students may need to accept their loans, complete the Master Promissory Note, and/or complete entrance counseling. Split your balance into four equal installments by enrolling in the University's Payment Plan. Apply for a Direct PLUS Loan. A PLUS Loan allows for a dependent's parent to finance the remaining cost of attendance. Apply for a private student loan. The student is the primary borrower and will likely require a cosigner. Visit NYS Higher Education Services Corporation for additional information on private student loans. Seek on or off campus employment. The United States Department of Education may select you for verification of your FAFSA. Verification confirms the accuracy of income and other items reported on your FAFSA. Please log in to MyUAlbany and review your "important notices". You will need to upload all requested documents to our secured portal. Once you have submitted all documents, please allow 2-3 weeks for a counselor to review your records. We will contact you if we are in need of additional information. Please note, financial aid awards including: Pell, SEOG, Direct Loans, and NYS Excelsior Scholarship will not be reflected on your bill until the verification review is completed by a financial aid counselor. Helpful hint and time saver: You can update your FAFSA using the IRS Data Retrieval Tool (DRT). This is an automated way to securely transfer your income information from the IRS to the FAFSA. Please take advantage of this resource as it streamlines the verification process. No, fees are mandatory with the exception of the Student-Alumni Partnership Fee. You may opt out of this fee if you do not believe you will benefit from it. Please note, you must opt out of the fee by February 5, 2019.